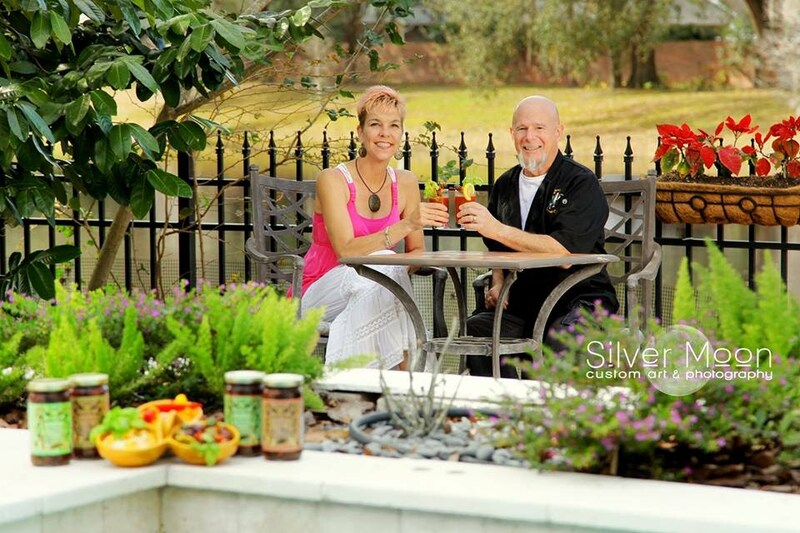 Steve's Gourmet Olives was started in 2012 and is owned by husband & wife team Steve & Susan Dodd. This Tampa-based business specializes in wine & craft beer infused olives and Bloody Mary mixes. Steve is an engineer at MacDill Air Force Base. He began marinating olives for his own recipes in the 1990's, they were never spicy enough. He has used everything from ghost peppers to scorpion peppers to wasabi. He finally chose the habanero, a pepper with both heat & flavor that grows plentiful in the garden of their West Tampa home. Susan has an MBA in marketing & sales and started her sales career at Procter & Gamble. The first jars were created as gifts for clients. The business began as a fun way to fuel their interest in good food & wine on top of 2 demanding careers. Their first account was the neighborhood ABC Fine Wines in Carrollwood. With the help of ABC and the many network groups like Working Women of Tampa Bay, South Tampa Chamber of Commerce, and Krewe of Pandora their business grew. Susan now works the business full time. Bloody Mary mixes were added in 2016, and they began brokering other local brands in 2017. Keep your eyes open for new products and changes to the company coming soon. Thanks for your interest in Steve's Gourmet Olives. Cheers! P.S. In their free time, Susan & Steve enjoy running, biking and photography. They can be found wandering the Upper Tampa Bay Trail with camera in hand, which is where they originally met in 2007. Feel free to follow Steve's photography on Instagram. His handle is @swdoddsw.